Now in its sixth printing and adopted as a text by more than 50 top colleges and secondary schools. One well known prep school provides a copy of the anthology to each incoming freshman and the faculty teaches to the book for four years. From Geoffrey Chaucer to e.e. cummings, from William Shakespeare to Anne Sexton, here are the great American and British poems of the last 500 years, organized by subject in a new and provocative way. "Great Poetry is personal," writes Christopher Burns in his introduction to this extraordinary collection. 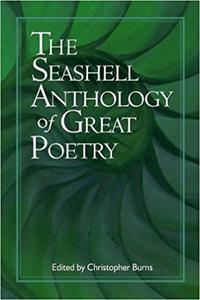 "Like a seashell held to your ear, a poem resonates to the beating of your heart. The poet brings the words, you bring your life, and together you make the song." Poets as diverse as Tennyson and Teasdale echo the themes of Western Wind hundreds of years apart. Maya Angelou and Janet Flanders, like talk show hosts sitting on stools, swap stories about their mothers. Robert Browning and Richard Wilbur, separated by more than a century, talk about the way men look at women. Walt Whitman and Allen Ginsberg describe the America each has found. Here are the poems of Edna St. Vincent Millay and Carl Sandburg, often ignored in the last few years, along with the masterpieces of William Butler Yeats, Theodore Roethke, Denise Levertov and Langston Hughes. Some of the poems are funny, others are sad, but all are unforgettable. Great poetry transcends the boundaries of place, time, gender, and race. Although there was no intention to be representative, half the poems were written by Americans and half by English, Irish, Welsh, Scottish and Canadian poets. 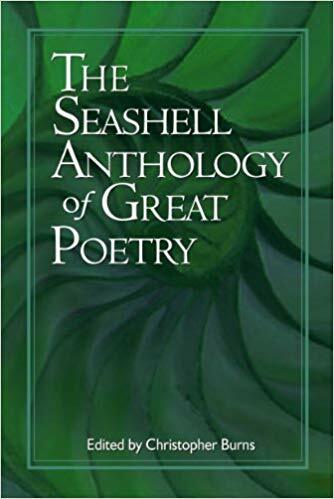 And this anthology is modern: a third of the poems were written in the last fifty years and a third were written between 1900 and 1945. The poems are organized to follow the contours of life: the loneliness of the artist, the uses of war, the role of nature, the constancy of love, and the coming on of death. And like all great poems, they are about you. As you read them, be prepared to hear your own heart roaring in your ear.